Comedy queen Bianca Del Rio serves up advice to her younger self. Take It From Me is a recurring feature on "GMA" where we ask celebrities to offer up advice to their younger selves. Bianca Del Rio has come a long way since her "RuPaul's Drag Race" days. 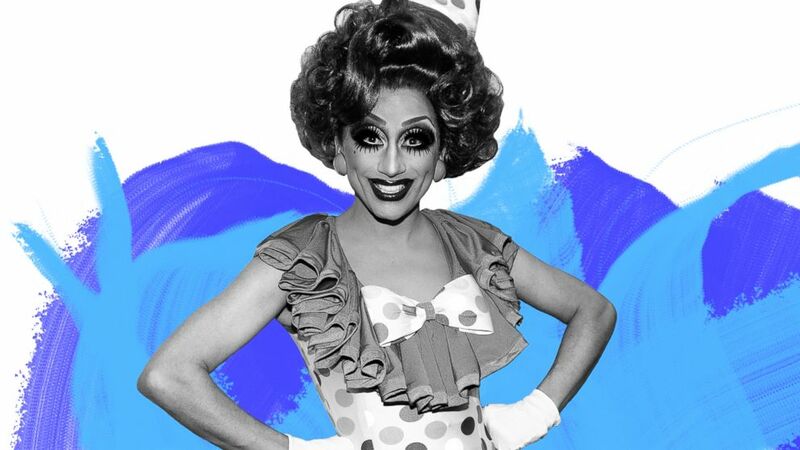 She has toured the country with her comedy act, starred in two "Hurricane Bianca" films, and recently released a self-help book, "Blame It On Bianca Del Rio." "Advice is always unwarranted," Del Rio told "Good Morning America." "People give it to you whether you want it or not. Especially with social media, people feel the need to tell you or school on you how your life should be. But the best advice I think usually doesn't play into effect till later." "GMA" took a trip through the trenches of Del Rio's Instagram and unearthed some pretty -- shall we say, amazing -- photos from her past. From school picture day to prom, before she was America's next drag superstar, Del Rio looks back to share what she'd say to the teen-turned-queen at these moments in her past. The supermodel takes a look back at old photos and shares wisdom she's learned. Candace Cameron Bure gives advice to young women everywhere. Patrick takes a trip down memory lane and serves up some all-star advice. 1. Life will get easier. "I would say to my younger self in this photo that your shirt was the proper choice," says Del Rio. "I would say to, 'Stick with it,' unlike my teeth, which are very separated. You figure it out. Life is not that bad." 2. Hair products can make everything a little brighter. "Oh God," Del Rio said with a gasp. "Oh, that was prom. It was it was my 10th grade year and it was prom. It was quite the look a lot of hair product and I thought I'd be flashy and wear a brocade vest. I thought I was fierce that day." Del Rio took a girl as her date and said no one knew she was gay. "Most of your younger gay life is that you realize life is going to get easier. It's not that serious," she said. "Don't worry about it and just keep using hair products. As you can see, it's worked out well." 3. Keep your wallet close to you at all times. Del Rio was all laughs when looking at this photo of her and "RuPaul's Drag Race" season 4 queen, Latrice Royale. "Latrice is a dear friend of mine who I love immensely and she's a lot of fun," Del Rio told "GMA." The pair were hosting a pageant together in Florida when Del Rio requested "one night in bed" with Royale. "When I got to Florida, her boyfriend had written out an itinerary and the itinerary said pick up Bianca at 4:00. Bring Bianca to the house 4:30. And at 5:00, she's in bed with Latrice. And we were able to get this fabulous photo." But as far as Del Rio's advice to her younger self goes, she joked: "The advice I would give myself that is I shouldn't have my wallet because she took it." 4. Be as prepared as you can be. (World of Wonder/VH1) Bianca Del Rio winning season 6 of "RuPaul's Drag Race." This was the moment Del Rio was crowned winner of "RuPaul's Drag Race" season 6. "That's when I beat the other people," she said. "No, I'm kidding. That was a great opportunity. I look excited." "The advice that would give myself is going, well, I guess, prepare yourself. I wasn't prepared to get to work globally or spread my hate to the masses or write a book or do this entertaining interview. I had no idea that was to come. So I think then I would say prepare yourself for what's to come and relish in it and have a good time." 5. A ponytail does not make a drag queen look pretty. (Harper Collins) Drag queen Bianca Del Rio has released a self-help book, "Blame It On Bianca Del Rio." The comedy queen doesn't take herself too seriously -- as seen by this image in her book. "My advice to myself is don't do that face. Don't wear that wig a ponytail does not make a drag queen look pretty." 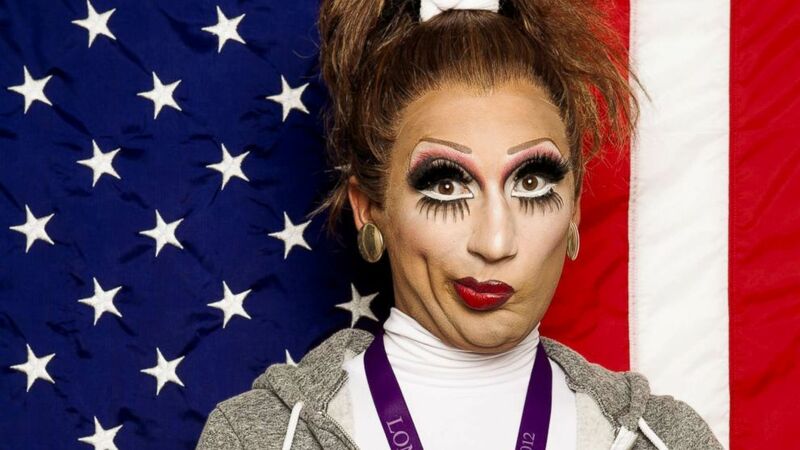 If you want more from Del Rio her latest film, "Hurricane Bianca: From Russia With Hate" will be released for DVD purchase on June 19th.